Special Austin Technology Council episode. 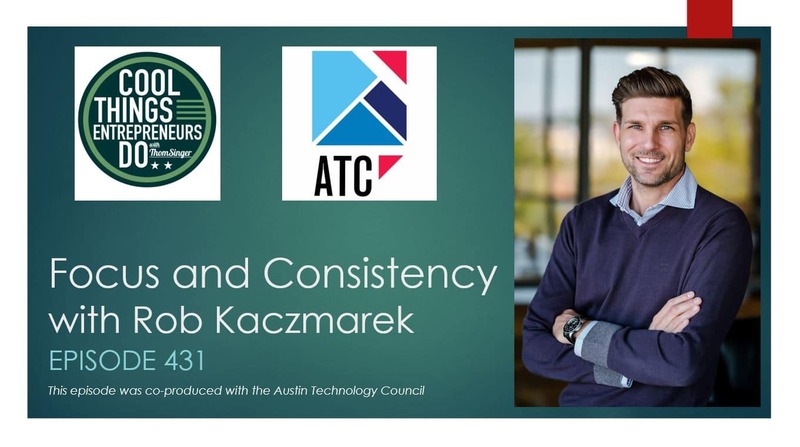 This episode is co-produced with the Austin Technology Council, the regions largest tech industry organization who empower members by using insights, resources, and connections their members need to succeed and thrive. Rob Kaczmarek is the managing director for projekt202 in Austin, Texas. Rob has a love and passion for introducing innovation and transforming experiences Globally. He has an entrepreneurial background launching two global technology companies and a service company aimed at transforming peoples’ experience with technology. With a background firmly rooted in Computer Science he has spent his career bringing innovation to challenging markets and worked with the likes of Apple, Intel, Microsoft, Amazon, Formula 1, Roush Yates, McLaren, BMW, GE, Rolls Royce and numerous others to implement technology into the engineering and retail industries. With over 15 years perfecting our approach, projekt202 has the experience, teams, skills and scale to deliver sophisticated software solutions that improve any and all touchpoints across the user journey. projekt202 is the leader in applying experience strategy and observational insights to the development of mobile, cloud, web and workplace software. The company is actively redefining the user experience (UX) and changing the ways people interact with technology around the world. Recognized by industry analysts for setting the standard for the way modern businesses develop software, projekt202 builds emotionally rich, resonant solutions that enable customers and end users to fully realize technology’s potential in today’s connected world. 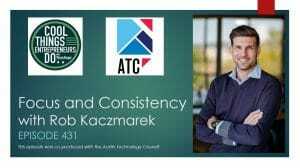 Check out episode 431 of the “Cool Things Entrepreneurs Do” podcast as Rob Kaczmarek has a powerful conversation, with host Thom Singer, about entrepreneurship, business success, and the Austin tech scene.